What Does ‘As Is’ Mean? When looking through property listings and the term “as is” appears, some people see it as a warning. Others see it as an opportunity. That might get you wondering, what exactly does “as is” mean? Technically, the term means the owner is selling the home in its current condition, and will make no repairs or improvements (or give the buyer any credits to fund these fix-its). The term “as is” is rarely tacked on a property that’s perfect and move-in ready. On the contrary, “as is” homes are often in disrepair, because the sellers can’t afford to fix these flaws (which would help them sell the home for a higher price). Or else, the house may have been through foreclosure and is now owned by a bank, or the seller died and left the house to inheritors who have little idea what could be wrong with it. Whatever the reason, the current sellers aren’t willing to pretty up the place before they pass it along. They just want to cash in on the sale and move on. All of this means that if you buy this house, you buy any problems it may have, too. So how can “as is” be the aforementioned opportunity, if you’re taking on all those problems? It all comes down to cash value. When you see those two short words in a listing, it usually indicates that the home will have a relatively low price to start with, and the sellers might even entertain still lower offers. If you are a contractor or handy with a hammer, are looking for a home to flip, or maybe just want an extreme bargain, “as is” could be music to your ears. Yet the downsides of an “as is” property are obvious and should not be underestimated; any number of things could be wrong with the house that are not immediately apparent to the eye. You might think you’re getting a killer deal, but you could also be throwing your life savings into a black hole. Sheila would like to welcome you to her new contemporary website. As a native of Inglewood, she holds a strong passion for supporting her community and the property owners alike. The passion that she has instilled within her community is the same you will find throughout this website. This site is truly committed to having support throughout everyone’s home buying process. With so many great tools and user-friendly navigation, this site gives users a wide variety of options to guide them through every stage of their process. This site was built to allow users to receive quality information about communities from a professional that knows them best. The site allows one to receive all around knowledge when it comes to their home buying or selling process by enabling users to search through featured properties, take a more advanced search in one’s property search, learn about communities, and have support by their side all along the way. When it comes to real estate, Sheila Booker knows it best! 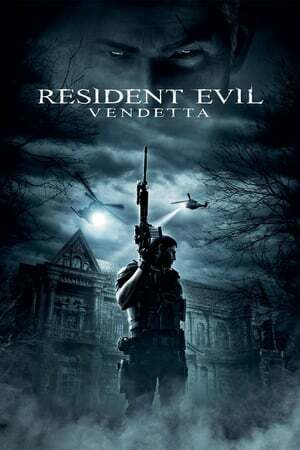 Do not miss to Watch movie Resident Evil: Vendetta (2017) Online for free with your family. Only two step you can Watch or download this movie with high quality video. Come and join us! because very much movie can you watch free streaming. Resident Evil: Vendetta 2017 English Full Episodes Watch Online. Compton is a city in southern Los Angeles County, California, United States, situated south of downtown Los Angeles. Compton is one of the oldest cities in the county and on May 11, 1888, was the eighth city to incorporate. Inglewood is a city in southwestern Los Angeles County, California, southwest of downtown Los Angeles. As of the 2010 U.S. Census, the city had a population of 109,673. It was incorporated on February 14, 1908.
download film Resident Evil: Vendetta now. War for the Planet of the Apes 2017 For Free online.